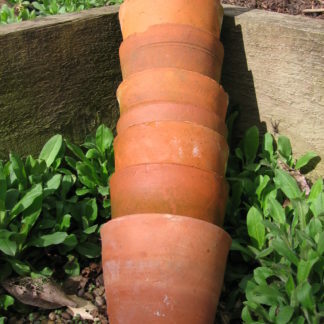 These pots are perfect for starting your own Auricula theatre. 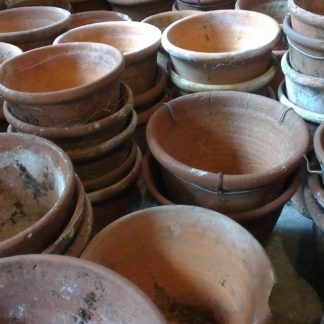 Hand thrown, these pots are brimming with character. 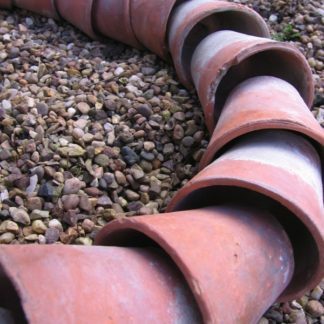 This longer style pot is designed for plants with a longer root, they encourage plants to search down deep – similar to modern day root trainers. 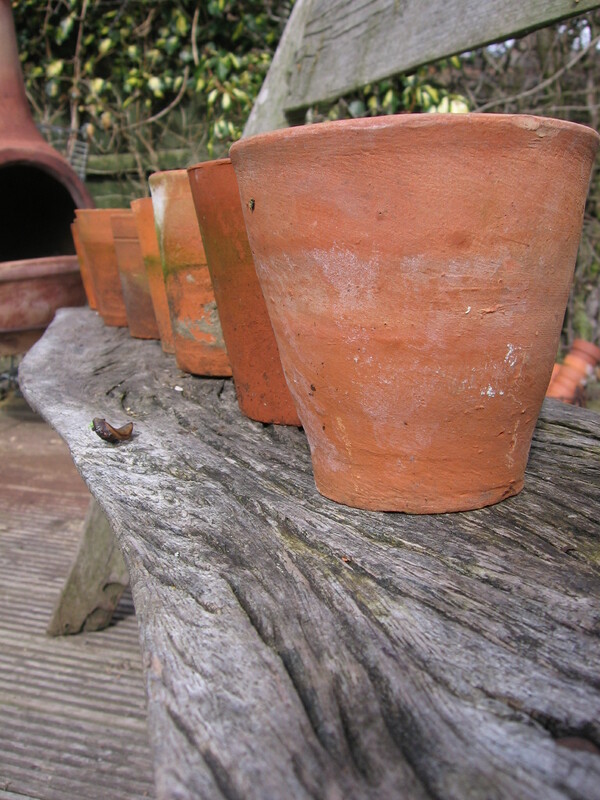 These pots were salvaged from a derelict specialist Sweet Pea nursery and are estimated to be around 100 yrs old. 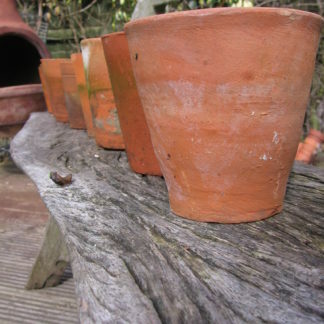 They can be purchased as singles or on an offer price gardeners’ gift pack for 15.